her true joy in life are her children, Melania 6 & Maddox 2, whom she features frequently in her LOs. And watching them grow is what inspired her to get into scrapbookihg 7 yrs ago. 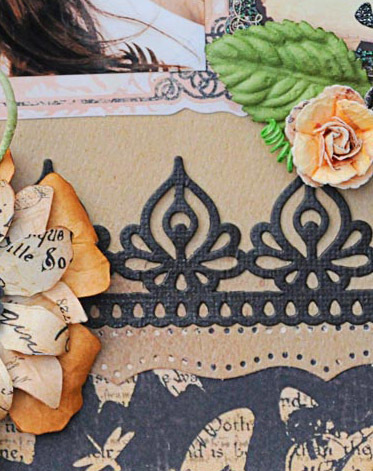 Capturing their priceless moments in photos paired with paper crafting makes her feel like an artist. 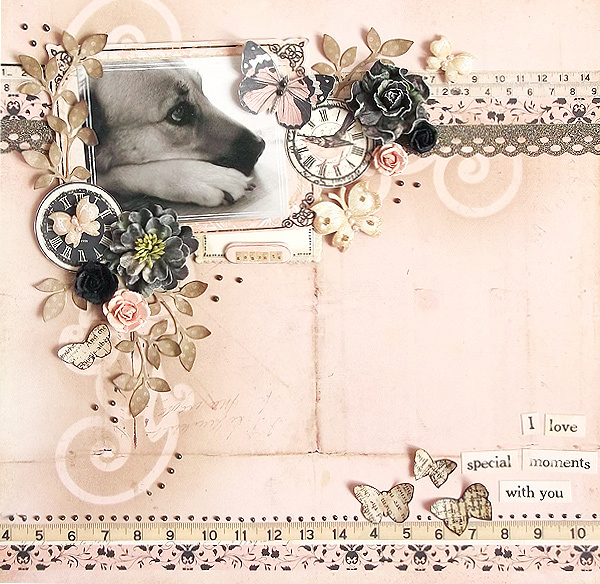 This layout features Misha's son Maddox. He is mesmerized by the little chicks fluttering around behind the glass wall. 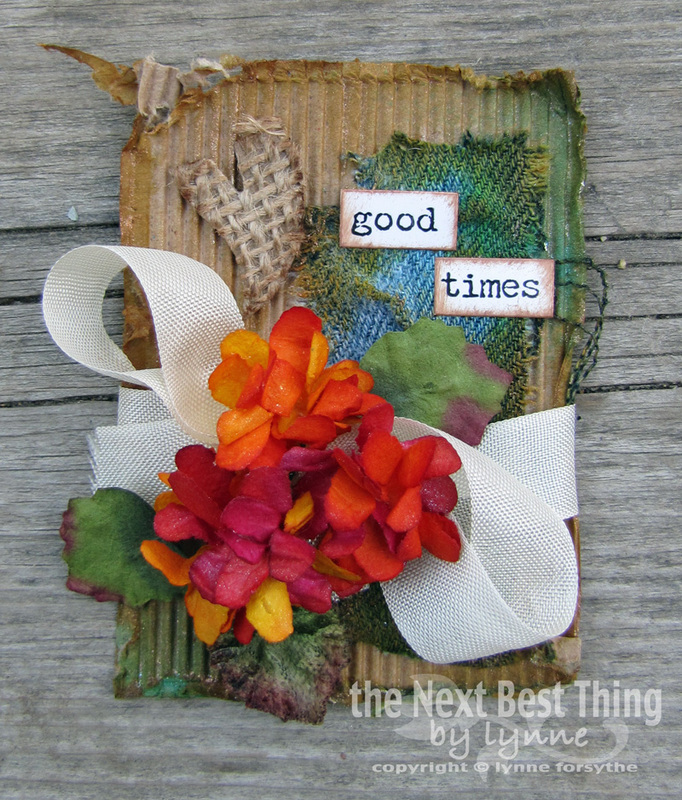 We love how Misha used the papers that look like little ATC cards, and cut out the letters to form the title of the page. The flower cluster is beautiful and love how she weaved the measuring tape trim through the flowers that tie in so well with the title. This layout is beautiful. Thank you for sharing it with us here. Dont forget to visit the gallery where you can see more of Misha's work. We love this creatiive work of art!! Just a little fun fact about Misha. She is a Chef who specializes in Asian Cuisine. She tells me that she loves her work and feels completely comfortable on the line with her cooks. Now that is a true Chef!! Can you imagine what her food creations look like?? Well if they are as beautiful as her layouts, she is one talented artist!!! Hope everyone is having a fabulous week. 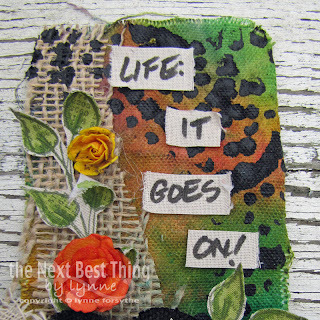 I am here to share with you my Mixed Media Album. This Album was so much fun. I love that I still have so many pages I can add. I made a few layouts within the clear page protectors. In the video below you can see how I created one. It is a good idea if you want to leave your album out to let people look through it so the fingerprints don't get all over the pictures. You can see below the other pages I created. I don't have a "tutorial" but if you have any questions please feel free to ask. Again please feel free to ask me any questions! Thanks so much for stopping by! I love to read your comments! Happy Wednesday Swirlies!! Today I would like to share with you my canvas album using the April Project kit. 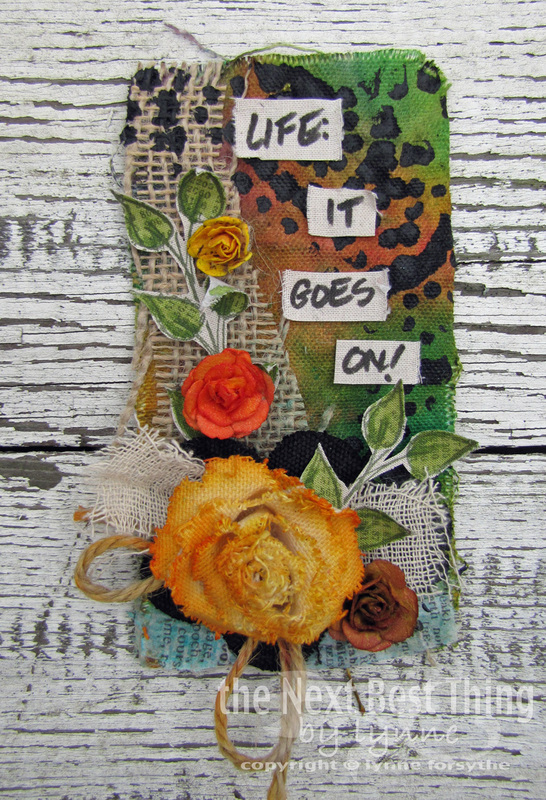 I don't dabble much in mixed media, although I had tons of fun putting this together. 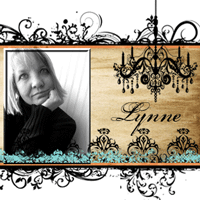 Lynn, our mixed media expert, did a video tutorial working with the kit. She gave us lot of tips that followed and made it easy. You can find the video HERE. Also, please check out out gallery for the other DT member's projects. And finally the back cover. Both of them have a great big heart. In their own unique and special way. I love them dearly both my girl and boy. Both of my children know how to make my hurt go away. I am very greatful that they are alive each and every day. When the children are not around me the days seem to go by so slow. After all my children are my heart. That he sent two beautiful angels my way. 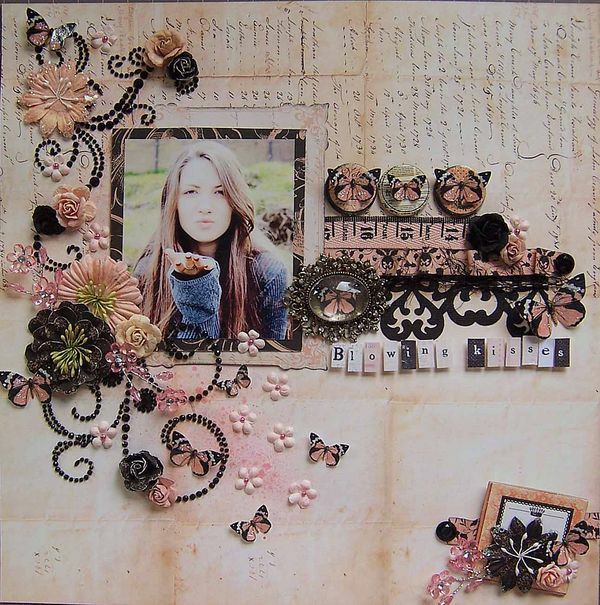 This week we bring to you this gorgeous creation by Pascale. She scrapped a photo of her beautiful children that was taken during Christmas. Pascale is also a very talented Flower Creator!! She Created the beautiful Roses that were fashioned after the Prima Coventry Rose. They are amazing!! And this proves that you should not miss out on ordering Dusty Attic when Krissy opens those special orders!! Pascale painted over the Dusty Attic with PearlEx powder then went over it with Crackle Accents. The touches of Gesso and inking bring the whole layout together. 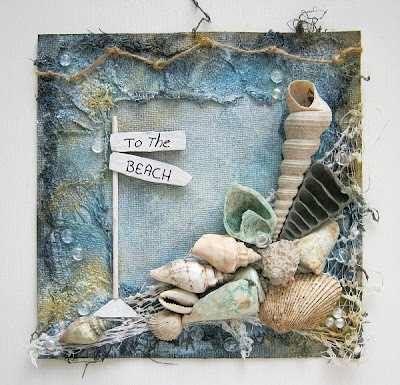 Please visit Pascale's blog for closeups and details. 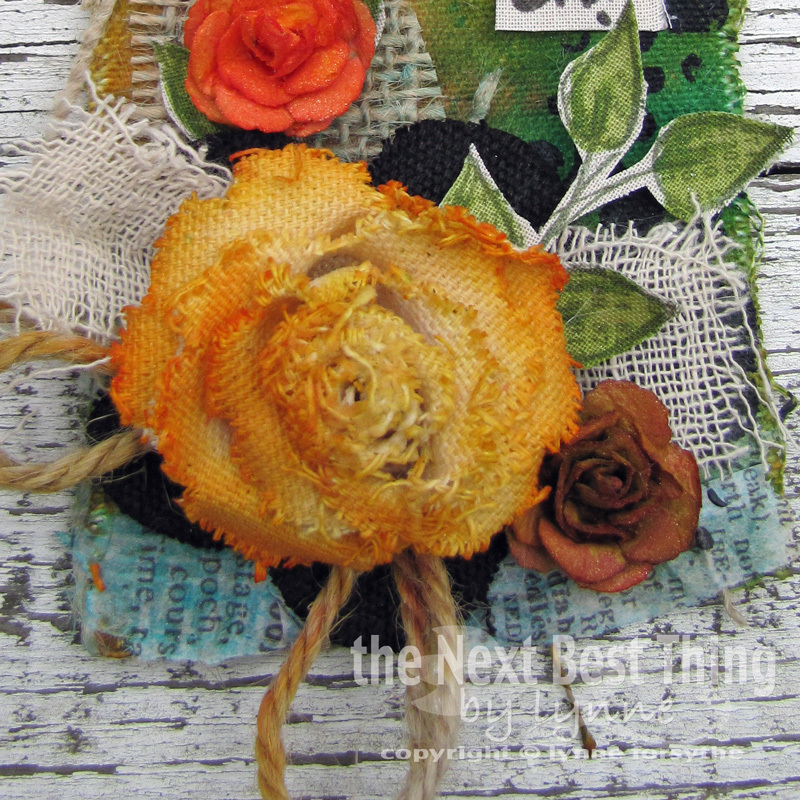 And dont forget to check out her tutorial on the flowers in our Flower Tutorial Section under "Coventry Style Rose". You're going to love it!! Good Saturday Morning to you!!! those BEAUTIFUL flat flowers you have. (hmmmmmm an ATC.....where have I heard mention of this before??? Hellooooooo out there in Scrappy Land! Krissy just revealed our May Kit add-ons.....*drool* OMG!! The savages went wild and we've already had some of the add-ons sell out. 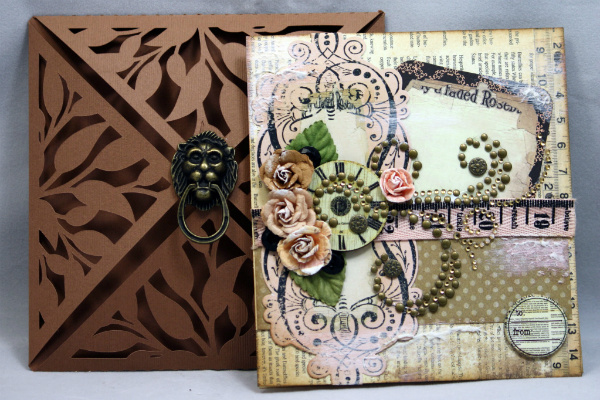 We will begin revealing our National Scrapbook Day schedule starting tomorrow in the forum. We want to get you supply lists and give your mojo time to kick into high gear. Don't forget that our April challenges are still open. Check out our SwirlyHues challenge. Links along the right side to the current challenge. Other challenges and events are listed along the right side as well. 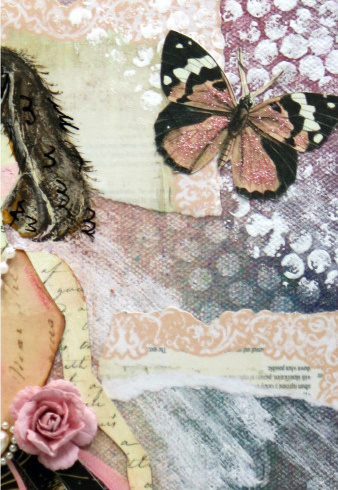 We will be announcing our next Blog Hop Kit Reveal soon. We are going to have MAJOR announcement during our hop!! You don't want to miss it!! 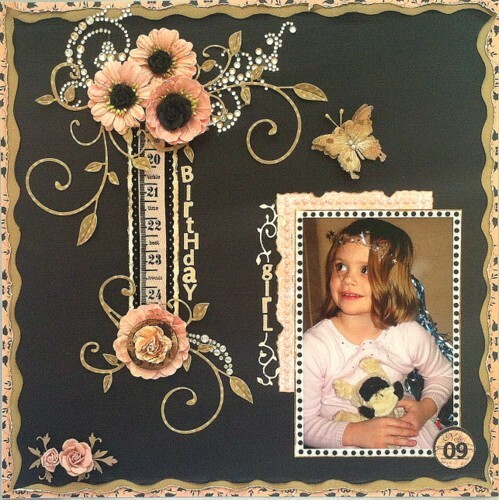 More Prima butterflies and coordinating flowers! There are many more in the store! I think I can say, that all our members are IN LOVE with our April kit. Full of pet-able Prima GORGEOUSNESS!! This kit is sooooooo AMAZING and perfect for making cards too. I wanted to challenge myself for a while now, to make a card without using premade embellishments, and this kit... made it an easy peasy job. Instructions and tips & trics can be found in the *All About Cards* thread, as well as the rules on how to play along. 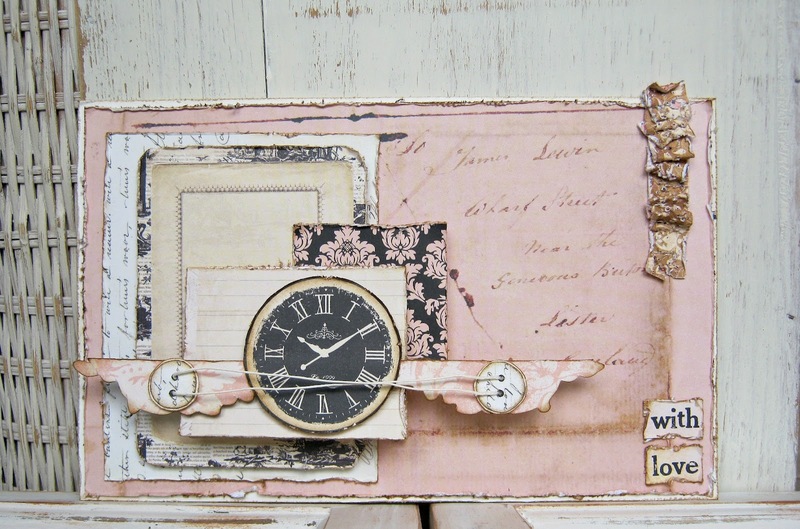 This week we bring to you a beautiful layout by our very own Erica. Erica chose to use some of the words to a beautiful song by Chayenne, and wrote them on a tag for some hidden journaling. The beautiful photo is Erica and her handsome hubby!! Erica worked in some wonderful techniques such as the inking, stitching and distressing using acrylic paint. Check out the suble pops of stamped bubble wrap..Very cool indeed. 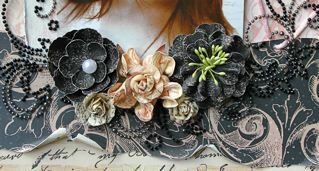 She followed a wonderful flower tutorial from Natasha Naranjo Aguirre's for the cabbage rose and then added other flowers from the kit to complete the floral clusters. Love the eyelet corset stiching as well. Erica worked this layout like a fine Michaelangelo painting. With tender loving care and lots of love. We love it!! Please visit Erica's blog for more creative inspiration. and here is how I made it!! Woo hoo!! The weekend is coming!! What a week this has been. We had an unbelievably gorgeous kit reveal and an awesome blog hop earlier this week. Then we unveiled our April SwirlyHues Challenge. What a beauty it is. The DT and I are planning National Scrapbook Day Activities as we speak. Make sure to clear your calendar and come and join us on May 5th for a day of fun. Lisa G is going to do another Ustream class for us. Last time this happened we all had sooooo much fun!!! Love chatting with my swirly girls in real time. We have a really special challenge wrapping up today. We call it Spread The Love. The person who leaves the most love in our Swirlydoos Gallery will get a handmade prize from several of our design team members!! The comment totals that have been tallied so far are breathtakingly impressive. Our first place winner is KIM!!!!!! Our second place winner is our very own Hostess with the Mostess PEGGY!!! Congratulations girls!!!!! Remember to get your badges!!! Wow, wow, wow! You are all the best blog hoppers around. Swirlydoos and the DT send you their sincerest thanks for all of your generous comments. You ROCK!!! 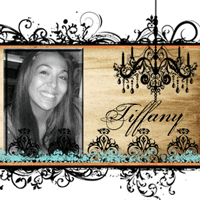 Here are this month's blog hop winners!!!! QUIRT!!!! You have won the Swirlydoos Prize Pack!!! MORMOR!! You have won the Petaloo Prize Pack!!! Congratulations ladies!!! Please email me at Lisa@Swirlydoos.com with your contact information so we can get your prizes out to you. You have 7 days to claim to prize!!! 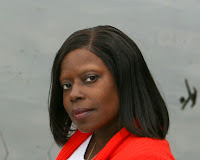 One Wednesday out of every month we would like to feature a Swirly Sister's Blog. Our amazing ladies are incredibly talented and work wonders with the Swirlydoo's Kits. 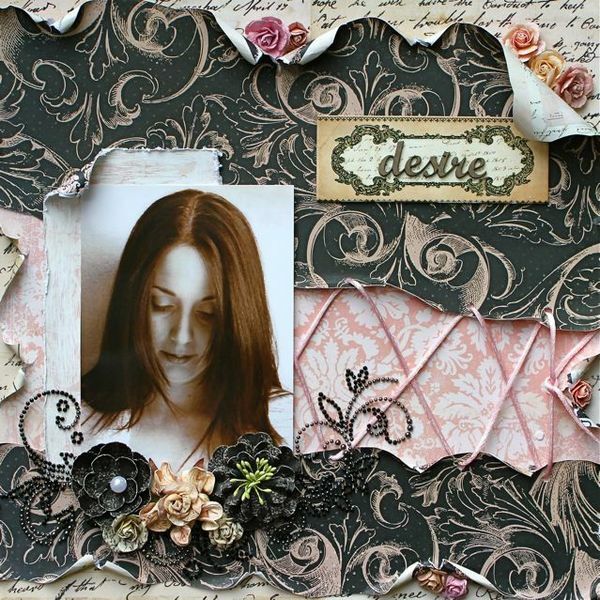 This enchanting page was Erica's submission for the Swirlydoo's April Round Robin Challenge. 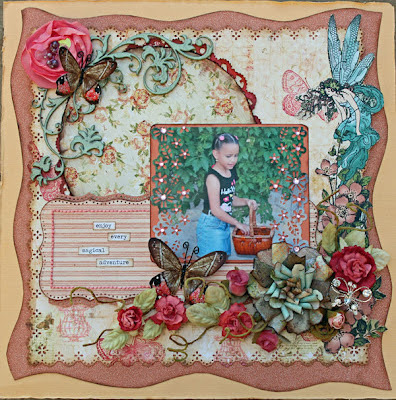 She mixed items from 2 different kits and made her own gorgeous flowers!! Thank you Erica for sharing and inspiring us!! 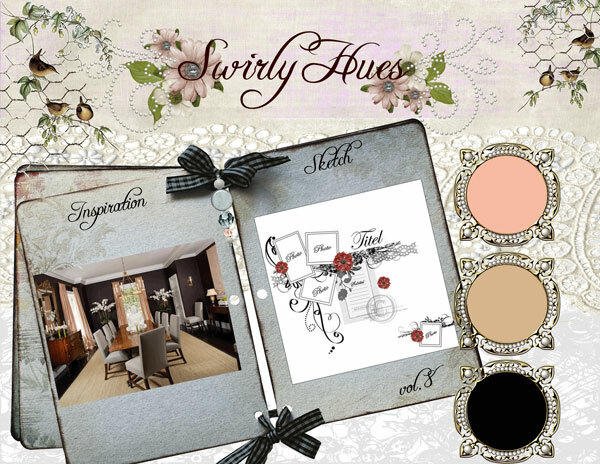 It's time to unveil our April Swirlyhues Challenge! Your beautiful hostess this month is the uber talented Paulien! 5) If you have a blog, please use our link in the right hand side bar to upload your challenge entry. (look underneath the SwirlyHues links) to your blog page with this challenge, not just your blog in general. If you DO NOT have a blog, you can still use the link to the right and link us to your online gallery page! OR, you can upload your gorgeous creation to the SwirlyHues album in our gallery no later than midnight eastern time on March 10th. Click HERE to get there. You will need to register to upload photos. It's free! Use the following format to name your item: SH Apr 2012 (insert your project name here). Your photos can be no larger than 600x600. In the description please tell us what tutorial you used. If you don't have a blog, just let us know that. 7) The next challenge will be uploaded to our blog on May 10th! 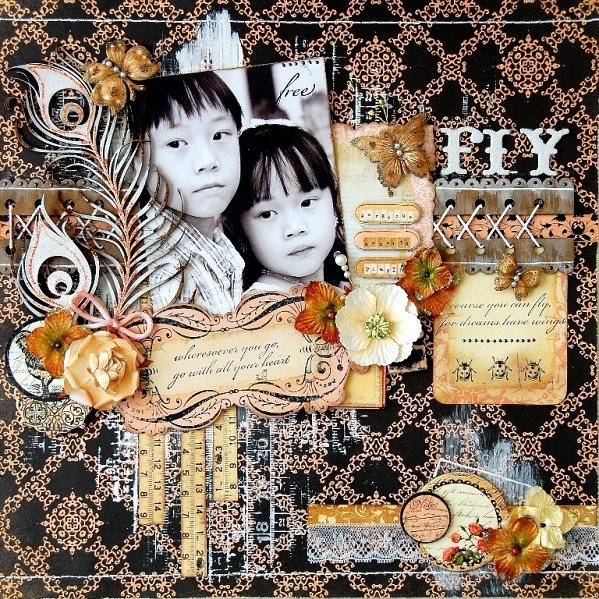 Today is a beautiful day to reveal our April kit, Whispers of Spring. Take a look at how pretty this kit is! I have to tell you that when I opened my main kit I nearly fell over because of the sheer amount of gorgeous bits and bobs that were in there. Take a look! Go to our home page to see details on the main kit and the add ons. We have 2 prizes up for grabs this month. Take a look at this beauty from Swirlydoos. 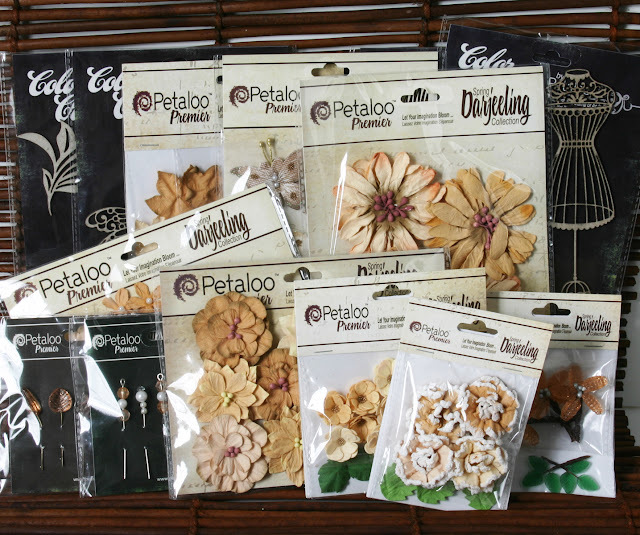 Petaloo has put together $70 worth of products!! The entire Shabby Beige collection. 10 pieces!!! 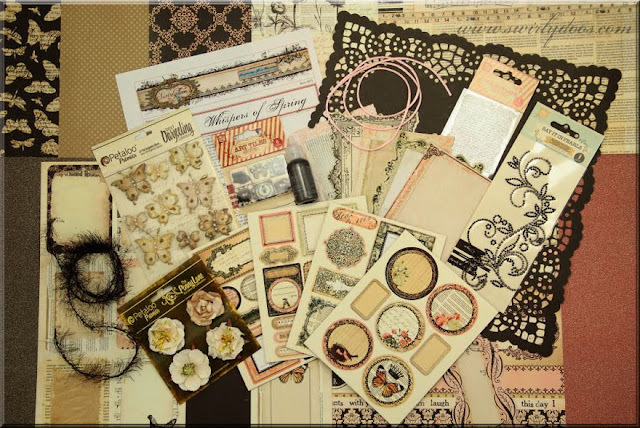 PLUS 5 packages of their brand new chipboard collection!!! 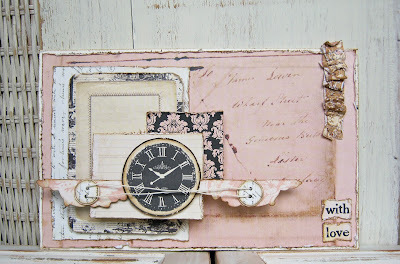 I wanted to take a quick moment to remind you to stop by the blog tomorrow and see our April SwirlyHues challenge. It is open to ANYONE, including non-kit subscribers and there is an OPTIONAL sketch made available for inspiration. Come back to our blog on April 10th to check it out. 2: Before you leave each blog, look for the “special” words and write it down. Once you have visited all the blogs and collected all the special words, they will create a QUESTION. 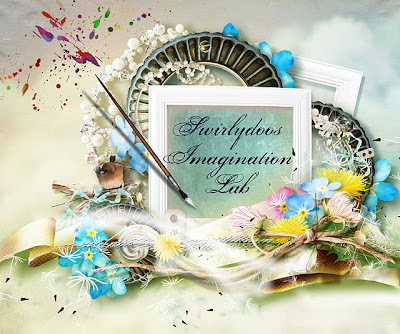 3: Finally, go back to the Swirlydoos blog and leave a comment letting us know how much fun you had AND tell us the QUESTION that was created with all of the special words you collected AND GIVE US YOUR ANSWER. The party starts over at Angelica's! Have fun! In case of catastrophic internet and/or blogger issues, here is the hop order and links. Add to the number of kisses, it's up to you. Moonlight Cocktail - need a few. 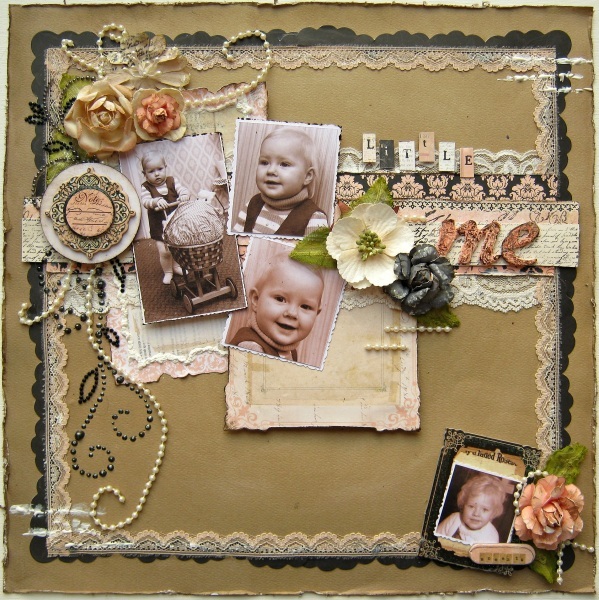 The photo in this beautiful vintage layout is Kathi's parents on their wedding day in 1942. We can almost hear Glenn Miller and his orchestra belting out a song. Swing was the distinctive style back then. The carefree good ole days. The beautiful distressing is perfect for the layout and the pop of red hues really shines through and brings this page to life. Love the layered design coupled with all the punch work that gives this page so much texture. It makes the old worn theme seem so fresh and new. Really beautiful Kathi. What great photo's to preserve and treasure!! We love this one a lot!!! Today I bring you a quick tip on how to sharpen your scissors, dies and punches. Hope you find this tip helpful. If you have any questions please feel free to ask. Hello there my lovlies! Today I am going to share with you a veritable tonage of sneak peaks from our April kit! Thanks for stopping by!! Have a fabulous weekend and if you celebrate it, a wonderful Easter! !